Discussion in 'Misc. Films' started by Hunter Rider, Feb 10, 2005. "It's going to redefine cool." February 09, 2005 - Contact Music chatted with Oscar-nominee Jamie Foxx about his next project, the big-screen version of Miami Vice. The crime drama will be written and directed by Foxx's Ali and Collateral director Michael Mann. Foxx and his future co-star Colin Farrell (who will play Det. Ricardo Tubbs and Sonny Crockett, respectively) have reportedly already developed good chemistry together in their early meetings with Mann. "The chemistry between us is already there, like it was with me and Tom Cruise in Collateral, so making this movie is going to be a total blast," said Foxx. "And it's going to redefine cool. You're going to see our Crockett and Tubbs suits and be like, 'I want those.' You'll see our car and you'll go, 'I want one of those.' And as for our woman, man, you're gonna be like, 'Now I gotta get me some of that.'" Miami Vice begins filming in April/May for a July 28, 2006 release. For some reason, i think this is going to be really cool..! It could be good if Farrell and Foxx are in it. Mann is a good director. I was on Miami Vice once. Maybe I could make a cameo! This will be good, good cast, good director! I can't wait! I do remember it being, a drama with some comedy added in. The only comedy was derived from the pastel pink jackets with the sleeves rolled up to the elbows. February 10, 2005 - IGN FilmForce was advised by a source that two veterans of Michael Mann films  specifically Wes Studi and Danny Trejo  were up for roles in the writer-director's big-screen remake of Miami Vice. Studi appeared in Mann's Heat and Last of the Mohicans, while Trejo was a member of Robert De Niro's crew in Heat. We asked Mr. Trejo's reps at Amsel, Eisenstadt & Frazier Talent Agency if he was up for the role of Lt. Martin Castillo, which was played on the original series by Edward James Olmos. While not confirming that Trejo's part would be Castillo, AEF did advise IGN that "our office is currently in discussions regarding the project and Danny Trejo. ... He is under consideration for two roles in the project." Mr. Studi's management  the ironically named Michael Mann Talent Agency  would not confirm or deny that Studi had been approached about Miami Vice, except to coyly suggest the fact that the actor has collaborated with Mann twice before should speak for itself. Studi has appeared in Deep Rising, Mystery Men, Geronimo and the PBS telepic Skinwalkers. Trejo's credits include the Spy Kids series, From Dusk Till Dawn, Con Air and Once Upon a Time in Mexico. Danny Trejo (L) and Wes Studi (R). Miami Vice begins filming April/May for a July 28, 2006 release. Wes Studi always pops up in random movies! I use to be creeped out by him, but he kinda grew on me. Good news, both are good actors. March 14, 2005 - The New York Daily News caught up with director Michael Mann and Oscar-winner Jamie Foxx and asked them about their pending reunion on the big-screen version of Miami Vice. Mann is well aware of the partying reputations of his leads, Foxx (who plays detective Rico Tubbs) and Colin Farrell (cast as Sonny Crockett). "I need a budget item for a bail bondsman  for both of them," the Collateral filmmaker quipped. "Colin is going to gain about 15 pounds of upper body muscle," Foxx revealed, adding that he doesn't need to after bulking up for the Marine movie Jarhead. "I'm in the best shape of my life." Miami Vice begins filming late spring for a July 28, 2006 release. This movie is going to be great, can't believe we have to wait till July! I just saw something yesterday about this, and how it's really going to focus more on drama as opposed to comedy. I know you said it above, so I guess that's confirmation! The Heat shootout might be my favorite of all-time! Meh! The creative juices have been wrung out of Hollywood. How on Earth did they ever come up with new movie ideas in the days before television? March 16, 2005 - Daily Mail columnist Baz Bamigboye claims to have spoken with Jamie Foxx about the forthcoming Miami Vice movie. The Oscar-winner reportedly advised the paper that he will have some other international co-stars in Vice besides Irishman Colin Farrell, who portrays detective Sonny Crockett to Foxx's Ricardo Tubbs. According to The Daily Mail, Chinese star Li Gong (Raise The Red Lantern) has landed "a major role" in Miami Vice after coming to writer-director Michael Mann's attention while making Memoirs of a Geisha. Her credits include The Emperor and the Assassin, Shanghai Triad and Farewell My Concubine. It should be noted that in the script I reviewed, the character Li Gong would most likely play is Crockett's enigmatic love interest, Isabella. In that draft, however, Isabella was not Asian but Angolan-Cuban. She works for the main bad guy in the story. 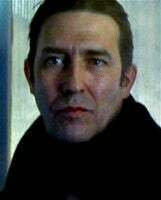 The paper adds that Irish thesp Ciaran Hinds (Lara Croft Tomb Raider: The Cradle of Life) "will play another of the Miami Vice detectives." The only possible character that could be is Lt. Martin Castillo, portrayed on the TV series by Latino actor Edward James Olmos. Hinds' credits include The Sum of All Fears, The Phantom of the Opera and the upcoming Rome series. He appeared in Veronica Guerin with Colin Farrell. Li Gong (L) and Ciaran Hinds (R). "It's not going to be one of those tepid adaptations of a hit TV show," Foxx promised. "The people involved in this are expert film people and we've got a real good script and a story to tell." Mann, Fox, and Farrell? You can't go wrong.. I'm there! Miami Vice was a great TV series. I still watch it from time to time. Did you see the one called "Brothers in Arms" when they are looking for Tony? Awsome concluding scene with a twist hook. Mann is a good director for this genre. And Collateral is further evidence. I suspect this will be a rather good film. I'd rather see a Vice City movie personally. It would be more fun. Michael Mann is SOOOOO overrated as a director. When it rains, it pours, and Chinese actress Gong Li ("Farewell My Concubine", "Raise the Red Lantern") is certainly going to be busy over the next few months, as she has been cast in two major Hollywood movies. First, she will play the role of a crime figure of Chinese and Cuban descent in the Michael Mann-directed "Miami Vice" for Universal. Mann, who exec produced the Anthony Yerkovich-created television series on which "Miami Vice" is based, wrote the script and will begin shooting in Miami and South America beginning in May, with Colin Farrell and Jamie Foxx starring. The film requires Gong to speak English and Spanish. I am sure this will be a good movie. I would have preferred WILL Ferell though with Jamie Fox. Colin is on the slide since his fiasco with Alexander. Will Ferell is a hot property.